CAPSULE is Yasutaka Nakata’s (the producer for Perfume and きゃりーぱみゅぱみゅ among others) personal project, and it has evolved over the years from a cutesy shibuya-kei J-pop group to a heavy-hitting electro-house group. If you’re a fan of some of the more popular electronic dance acts from elsewhere across the world, you’ll probably love CAPSULE. He also throws in a bit of his trademark J-pop sound for a few of the tracks alongside vocalist Toshiko Koshijima, so if you’re a fan of Perfume and Nakata’s other works you’ll find a lot to love here too. In their latest album, they’ve taken another turn into more laid-back, experimental electronic music, and I like it just as much as the rest of their work. Lots of variety to be found amid a long discography. Give them a listen. Alstroemeria Records is pretty famous among the world of doujin music, the Japanese “indie”, self-published-music scene. 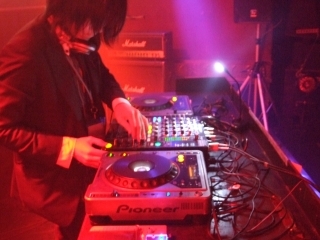 The group consists mostly of Masayoshi Minoshima with a bunch of guest vocalists and a few guest producers along for the ride as well, and they make Electronic Dance Music, from electro-house to trance and a little dubstep from time to time as well. Most of their music is remixes of music from Touhou games, a series of dangerously difficult PC shoot-em-up games with exceptionally well-composed music and a rabid fanbase. Yeah. Don’t worry, though – if that sounds a little weird to you, give their music a listen. That should take care of any doubts. Lullatone can probably best be described as the softest band on earth, and that’s a good thing. The team here is comprised of husband and wife Shawn Seymour on the production and Tomida Yoshimi with the cutest vocals ever. I overuse that word, and I’m sorry but this time I actually mean it. Together they make a mishmash of lullaby-like ambient music made out of chopped-up sine waves, synthesizers, a band of toy instruments and just about everything else. You don’t even have to play it while you’re taking a nap, either – I listen to them just about anywhere else. 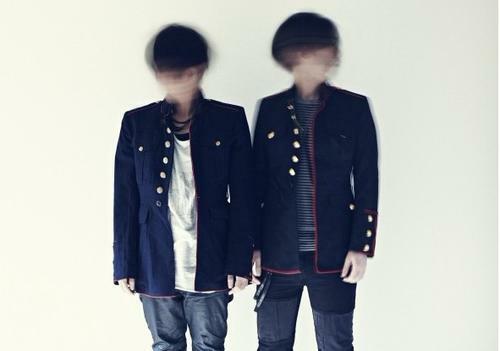 Besides their electronic works, they’ve also made some nice indie-pop-stylized tunes as well. You can download most of their early work for free on their Bandcamp, so there’s really no excuse not to listen to them. 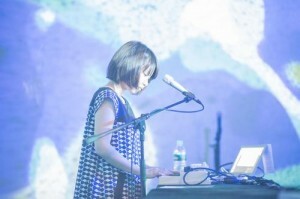 Cokiyu is the solo electronic project of Yukiko Ito. She makes beautiful, dreamy and glitchy ambient music. 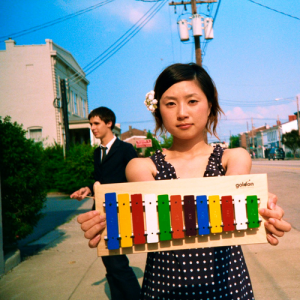 Her songs have simple beats and soft melodies but they still evoke a lot of emotion. I personally find it great for relaxing to. 80KIDZ is the Japanese equivalent of Daft Punk. If you like a lot of electronic dance music and big house acts like Daft Punk and Justice (the latter of which they’ve performed alongside of before), there’s a good chance you’ll love these guys. 80KIDZ is a two-man group and they make some of the danciest music you’ll ever get to hear. I highly recommend ’em. It’s hard to get too far into Japanese music without discovering the wonderful world of the Vocaloid. 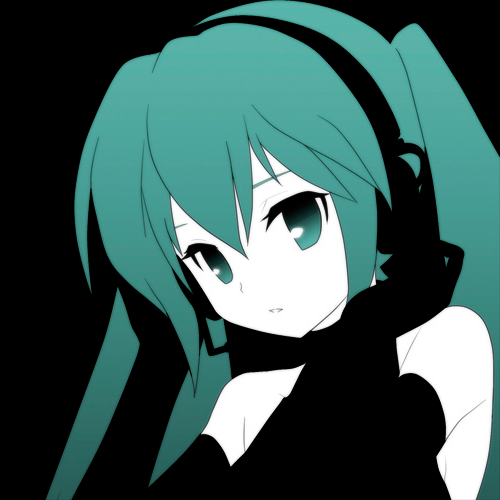 If you haven’t heard of ’em, Vocaloid is a software that synthesizes… singing. In other words, it’s basically a singing robot. It’s not as bad as it sounds. 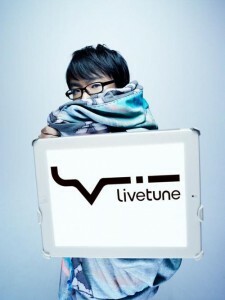 There are plenty of silly pop producers using Hatsune Miku (the most famous of the Vocaloid bunch), but Livetune definitely stands above them as one of the best. Livetune makes all kinds of fun electro-pop songs with Hatsune Miku on the vocals, and dang if they aren’t just about the catchiest things I’ve ever heard. Give him a listen, there’s a lot to love. 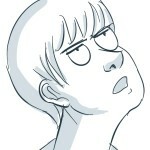 Clean Tears is another electronic dance producer that uses Vocaloid, but his music is a bit different. 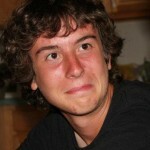 He produces primarily trance, with a bit of dubstep and house thrown in. If you like any big vocal trance producers like Armin van Buuren or Above & Beyond, you’ll love Clean Tears. I know I do. Besides his long, epic trance music he also makes a few cute pop songs as well. He’s a cool fellow. 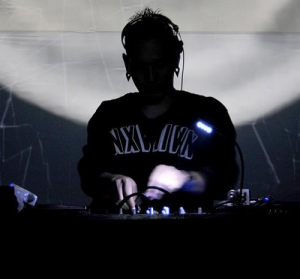 Goth-Trad is a fantastic producer who makes, dark, minimal dubstep and other experimental electronic music. I’m not talking about Skrillex-dubstep, though, Goth-Trad’s music is closer to artists like Burial and the rest of the UK Dubstep scene. If you listen to a lot of them, there’s a good chance you’ll like Goth-Trad as well. Give him a try if you like some good, abstract electronic music. YMCK is a Japanese pop group with just one small difference – all of their music is made with Game Boys. 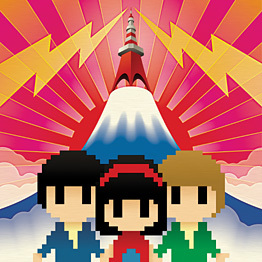 YMCK makes Chiptune music, which is music made using sounds from the 8-Bit Nintendo era of Famicoms and Game Boys. If that sounds a little strange to you, give them a listen, and you’ll see just how great it can be. What sets them apart from other Chiptune artists is the great vocals and the jazzy compositions. Lots of good nostalgia for anybody who grew up on old video games. 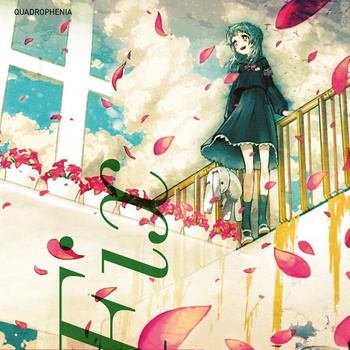 QUADROPHENIA is a group of artists who cover quite a large range of different styles of electronic music. A lot of their music is rather experimental but beside strange, melodic avant-garde ditties you have sweet glitch-pop songs and soft, calming ambient songs and a whole bunch of stuff in between. There’s a little something for everyone. 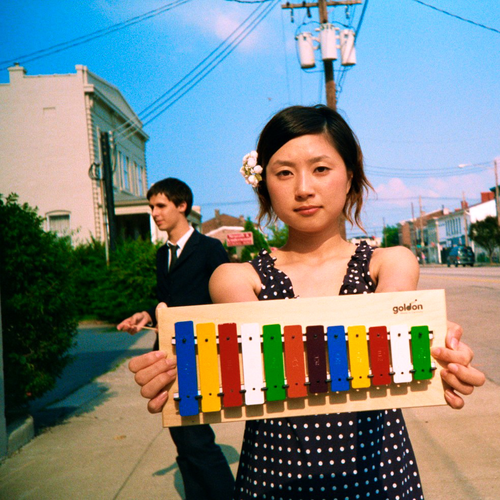 Any others you want to add to the Japanese electronic music list? We’re all always looking for more and better music. What amazing Japanese electronic music have you found? Awesome Eric, thank you so much! I’m going to go through all of these. Also my name is Eric too. Hi. YMCK is really good. I love their album “Family Music”. 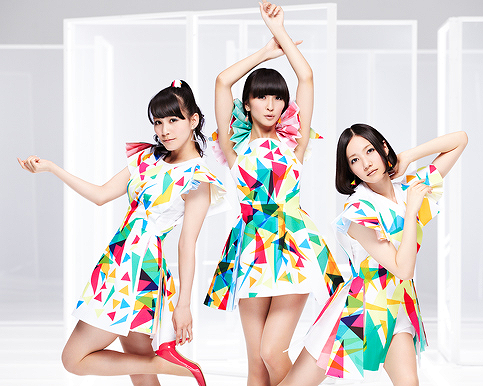 I’ve also listened to Perfume pretty extensively. Ooh, I used to listen to a lot of J-core. Not a whole lot any more, but I still love it. My favorites are REDALiCE and Ryu☆. I haven’t listened to DJ Shrapnel before, but the songs you posted were great. :) Glad to hear you liked the post! Polysics!!! they’re really in a class of their own. Polysics is seriously some of the weirdest stuff man. But they’re cool. Can’t believe this guy forgot to mention Yellow Magic Orchestra though. They’re like Japans Kraftwerk, influential and awesome. Oh, yeah, Yellow Magic Orchestra is another great one. To be honest, I haven’t listened to too much of their work, but I like what I’ve heard. I also really like 坂本龍一’s solo work. 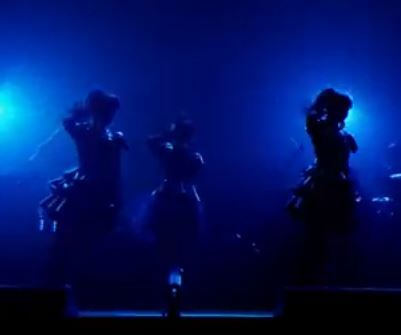 Rydeen is probably their opus magnum. I really suggest you go check it out on Youtube! Polysics is definitely weird, but… weird in a good way, you know? Polysics are pretty great. I was contemplating including them (either them or the telephones!) but they’d probably fit better in the Rock category. Oh, well. :) I still highly recommend them, of course! I am SO glad to see Clean Tears on here! Easily my favorite Vocaloid producer. He seems so under-appreciated. Tears of Palm seemed to be fairly popular for awhile, but then equally amazing songs like S.E.K.N. seemed to go under the radar, from what I could tell. I was actually working on a Project Diva f edit of S.E.K.N. but lost steam along the way, lol. You forgot Cornelius, Susumu Yokota, Nujabes (RIP), Bennetrhodes, The Astronotes, salyu × salyu, Towa Tei etc…. Hey Guys I found really nice Sets & Artists here. I use the same Live-Sampling method that Beardyman use. But beatbox techniques are not my primary thing. This is what make it individual and give them a special note. So let me know what u think about the Live-Performance. 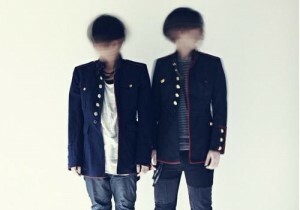 Capsule is my favorite, I would like to find more artists like them, besides Perfume. Can anyone help me out? Thanks for all the other cool music ideas! 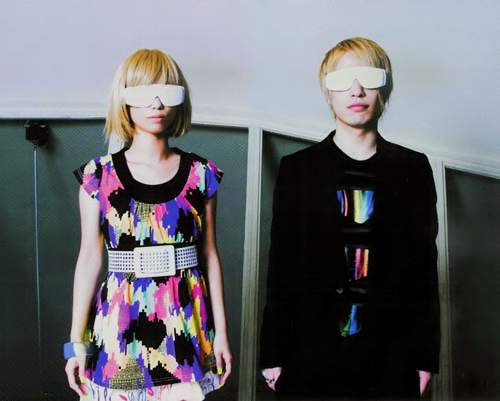 Yasutaka Nakata (guy behind Perfume and Capsule) also produces for Kyary Pamyu Pamyu and MEG, both are pretty similar, though more so to Perfume than Capsule. Definitely check those out. Other recommendations I have are Saori@destiny, Immi, and maybe m-flo . . . there aren’t a whole lot of groups like Capsule but hopefully that helps a bit.